June came to an end but our summer events just started! 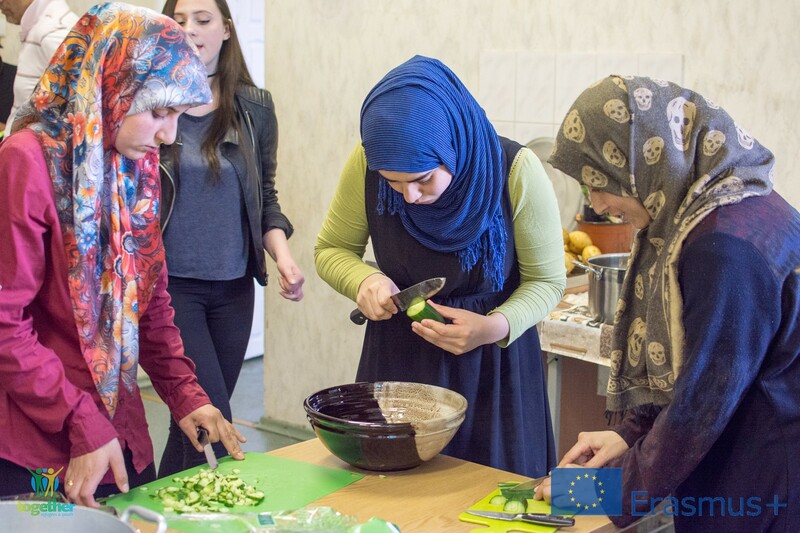 Given the success of the Lithuanian Traditional Cooking Workshop held in Vilnius (read more here) another similar event was held in Rukla Refugee Center on June 29th. Most of refugees in Lithuania live in the reception center in Rukla and the chances to meet local people and culture are limited. While preparing the cold pink soup šaltibarščiai refugees look enthusiast and curious. By making them involved in cooking and tasting Lithuanian traditional food, the event allowed them to move ahead with their integration. Refugees were happy to know a little more about the country they are currently living in and appeared keen on taking part in future similar events. The desired success! If you want to see more pictures from the event, click here and if you want to be updated about our upcoming events, check our FB page!